Sciblogs | What are the possible psychological effects of being stuck in that cave? I was asked by the Science Media Centre for NZ to provide some commentary of the possible psychological and physiological consequences of being stuck in a cave (for an extended period of time). With reference to the situation in Thailand, this is clearly a rapidly evolving situation and decisions are being taken on the ground, so note that this was written on Friday afternoon, NZ time. We know that the 12 boys, aged 11 to 16 and their coach have been underground now for a considerable amount of time, but they are in contact with rescue parties, and are being cared for as much as possible given the difficult circumstances that they and the rescue teams find themselves in. We also know that rescue teams are working around the clock trying to understand the immediate risks, risks that may eventuate rapidly (such as the forecast rain), and trying to balance that with the competing risks of rescue sooner rather than later. Reports are coming through that health assessments of the boys and their coach mean that it is dangerous to attempt a rescue due to their physical condition and lack of skills in being able to go through the rigours of trying to learn to swim in extremely challenging conditions to make their way out, assisted by the rescue team divers. From the perspective of those boys and their coach, the relief of being found may co-exist with the knowledge that they remain stuck and that their future remains uncertain. It’s hard to know for certain what they do and do not know about their chances of rescue in the short term, and how they may adapt to trying to deal with the possibility that rising floods waters may be a threat to their ability to survive their ordeal, or that they may remain trapped for weeks or months while people figure out the best plan or action. What we know from the research literature means that we can make an educated guess that the boys may experience feelings of helplessness, fear, confusion and anxiety are likely, as well as worries that their situation may become hopeless. Added on top of that may be the feelings of guilt that the coach may experience, even though it is clear that he has sacrificed his self-care to try to prioritise the wellbeing of the boys in his care. It is hard to know, given that we don’t know what the trapped people know about their circumstances. We also know that the physical circumstances in which the boys and their coach are trapped also have the potential to cause harm. The lack of daylight over this period of time means that they may not only be psychologically disoriented, but that many of their basic physiological functions that depend upon circadian rhythms will be disturbed, such as sleep, hormonal functioning, core temperature, their feeding and drinking, and also how their gastrointestinal systems might be functioning. Safe removal and disposal of their faeces is important in thinking about infection control in the very closed environment that they’re in. There may also be other sources of infection in the underground cave system that might be a threat, particularly if their immune systems are compromised through malnutrition and lack of sleep. If circadian-based lighting can be established in the cave – should the boys actually have to establish themselves there for a long period or time – that may help to regularise some of these bodily functions and go a long way to helping to develop some kind of routine in day-to-day living in this extraordinary situation. Synchronising routines with the outside world through light and daily patterns of living might also be a powerful connection to establish a sense of hope. 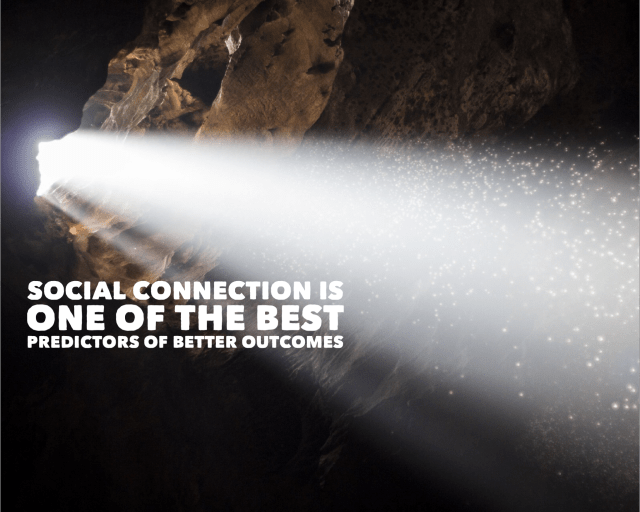 When thinking about trying to provide support to people involved in disasters, we know that social connection is one of the best predictors of better outcomes for those involved. So, attempts to establish reliable means of communication between the trapped boys and coach and their families and loved ones can only help, and the sooner that is provided the better – not only for those directly involved but also for the communities to which they belong also. Support for each other when they are trapped is also important – but situations may also become fraught when forced to stay together for an extended period of time with so much uncertainty and likely stress. It’s hard to know how it will play out but critical points may emerge, such as who may be selected to attempt escape first and how those choices are made. There are no easy answers to such dilemmas, and there may be many more to come. From the perspective of the families and communities involved, the activity and number of rescue teams involved may be perceived as both heartening and reassuring but also frustrating. With so many resources brought to bear and available, progress is slow because of the complex nature of the unfolding situation. Again, good communication with their loved ones is important, as well as support – both from their own contacts and professional supports too if necessary – to help them to cope with the situation, and for them to be helpful and supportive for their loved ones trapped below. From the perspective of the rescuers, including the divers who have established contact with the trapped boys and coach, it is likely to be a time of mixed emotions. Joy at being able to find them alive, yet mixed with the reality of the challenge that lies before everyone in trying to extract them to safety. Drawing from the established body of research, it is likely that they and other members of the rescue teams will need care and support for their own wellbeing as this situation unfolds. The post What are the possible psychological effects of being stuck in that cave? appeared first on Sarb Johal.